Bot Libre provides free chat bot hosting, and makes it easy to embed your bot on your own website, or in your own mobile app. 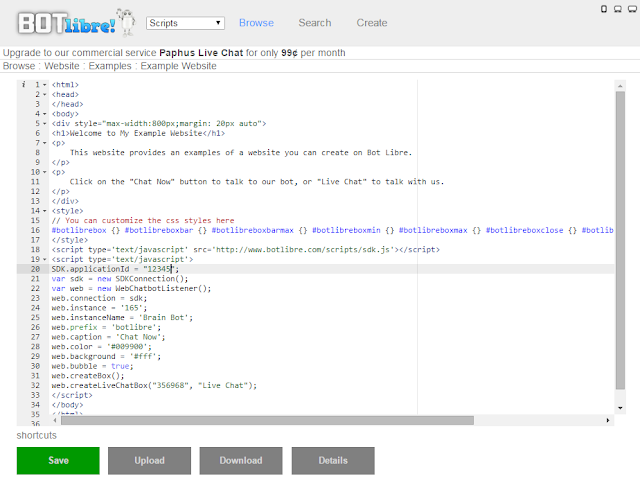 Bot Libre also provides free web hosting, and makes it easy for you to make your own chat bot website. 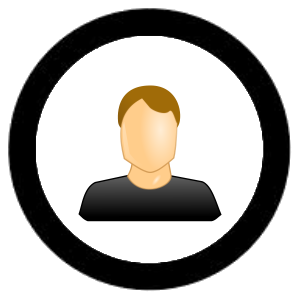 To make your own bot website you can enter a "Website Subdomain" when you create your bot. A subdomain is a named subpart of a domain. An Internet domain is a named address of an Internet server, i.e. 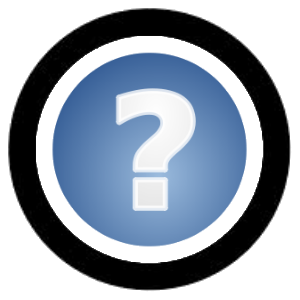 Bot Libre's domain name is www.botlibre.com or just botlibre.com. 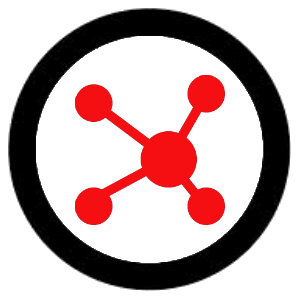 An example of a subdomain is twitter.botlibre.com, or brainbot.botlibre.com. A subdomain is not really any different than a domain, it can have its own IP address, and is given its own isolated web context for cookies and other content by web browsers. When your purchase an Internet domain, from a service such as GoDaddy, you purchase the root level domain, i.e. botlibre.com. You can then create as many subdomains of your domain as your wish. When your create a bot, live chat channel, forum, or script on Bot Libre, you are given the option to enter a "Website Subdomain" (or domain). You can type a unique name in this entry, such as "brainbot" (ensure your name is unique, if another user has already claimed the subdomain you will get an error). Bot Libre will then automatically create the subdomain for you, and register your bot's website under it. This gives you your own website and domain for free. If you do not wish to use a subdomain of botlibre.com, you can also enter your own domain name instead of a subdomain. You must purchase your own domain name from a domain name service such as GoDaddy. To link your domain name to your bot on Bot Libre, just enter Bot Libre's IP address in your domain name service registry. Then enter your domain in the "Website Subdomain (or domain)" entry field when you create your bot, i.e. 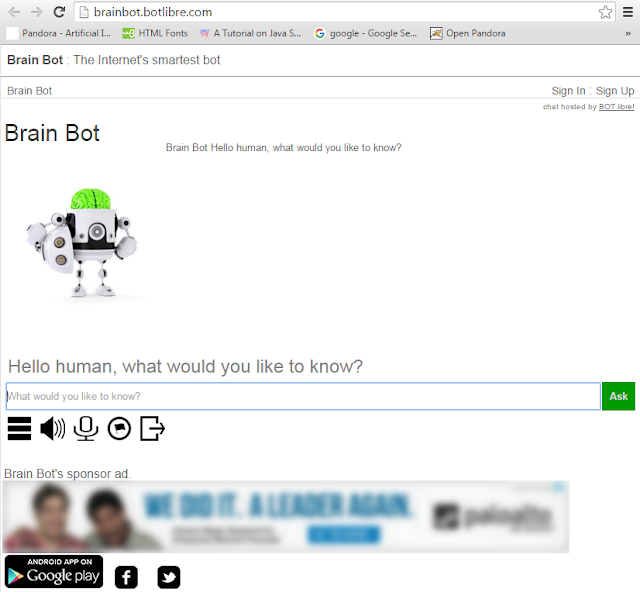 "brainbot.com". To find out Bot Libre's IP address, simple use the "ping" command in an OS shell, such as a DOS prompt, i.e. "ping botlibre.com". This will give you "70.38.17.132", this is Bot Libre's IP address. You can also enter a subdomain from your bot's "Edit Details" menu item, or from its Embed page. By default your subdomain will open on your bot's embedded page. You can customize this page from your bot's Embed page, which you can get to by clicking the "Embed" button on your bot's main page. The Embed page lets your customize your bot's embedded page with several options, such as choosing the background color, greeting, or prompt. 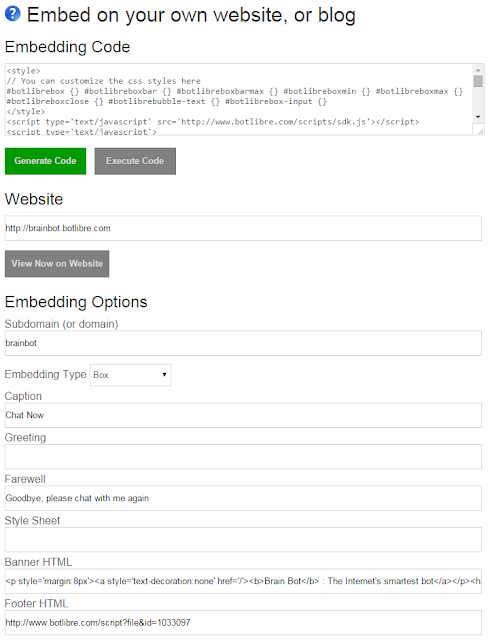 The Embed page will give you the embedded HTML when you click "Generate Code", but it will also save your customizations in your subdomain's page. You can further customize your bot's embedded page by passing a style sheet, banner, or footer. A CSS style sheet lets you customize the formatting of a web page, such as colors, fonts, borders, and positioning. You can create your own style sheet in our Script Library, or use one from your own website. Enter the URL (file URL) for your style sheet into the "Style Sheet" entry. You can also enter simple style settings directly in the "Style Sheet" entry. The "Banner HTML" and "Footer HTML" entries let you enter you own custom HTML into your bot's embedded page. You can give the URL of a partial HTML document, and it will be embedded into your page. 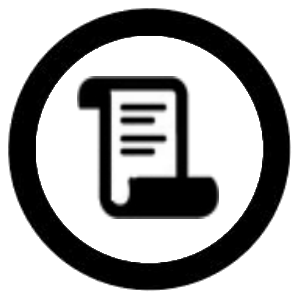 You can create your own HTML document in our Script Library, or use one from your own website. You can also enter simple HTML directly into the entry. Bot Libre's embedding and subdomains let you create your own customized bot website. Using your HTML banner or footer, you can add whatever content you wish to your website, such as Ads from providers such as Google Adsense. You can also use the banner to define a banner that links your page with your own website by giving it the same look and feel. You can create your own website from our Script Library. You can create your own bot, chat, or forum website, or a website for your business, community, school, or club. 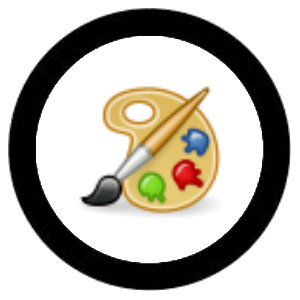 To create your own website simply goto our script library and click on "Create". Select "HTML" as your script's language, and in the "Website Subdomain (or domain)" entry, enter a subdomain or your own domain to host your HTML script under (see above for info on the difference between a subdomain and domain). Once your script is created, you can click on the "Source" button to edit your script in our HTML editor. You can search the web for many tutorials on HTML, also for templates, style sheets, and other content. You can also copy other HTML and CSS scripts from our script library, or use images from our graphics library. You can add a chat bot to your new website by going to your bot's Embed page, and generating the embedding HTML, and then pasting it into your website in the script library. 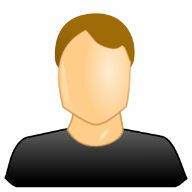 You could also embed a live chat channel, forum, or other content. Your new website's URL will be your subdomain dot botlibre.com, i.e. brainbot.botlibre.com. 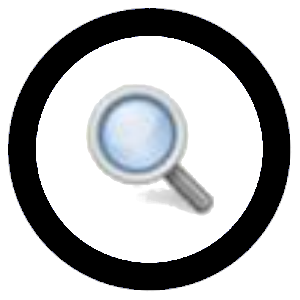 You can share this URL, and it will automatically be indexed by all search engines, as it is linked from our script library. So now you know how to create your own chat bot website using Bot Libre's subdomains, embedding, and script library. 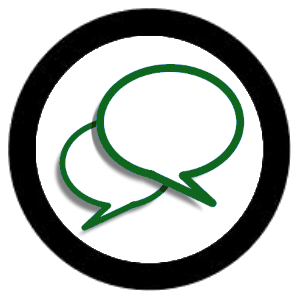 You can also host live chat, forum, and other types of websites on Bot Libre for free. 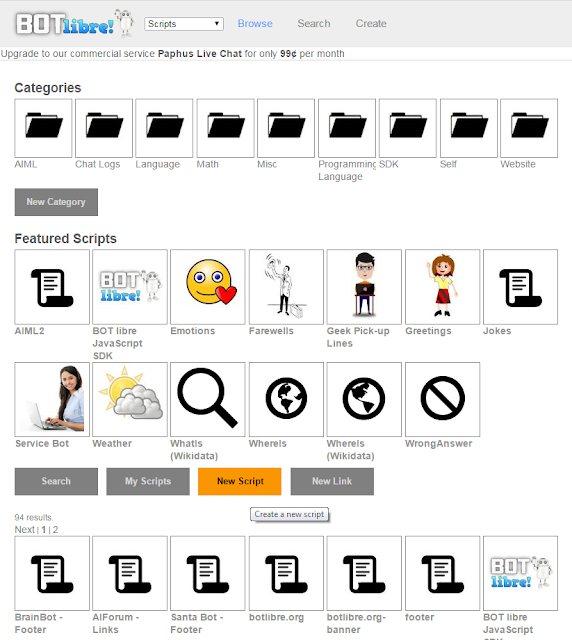 Commercial hosting is also offered on our Paphus Live Chat service which offers the same features as Bot Libre with professional support and services, and dedicated and private hosting options. 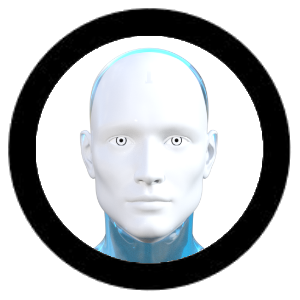 We can also design you your own custom avatar through our Platinum service, or help you integrate with your robotics through Bot Libre for Business services.